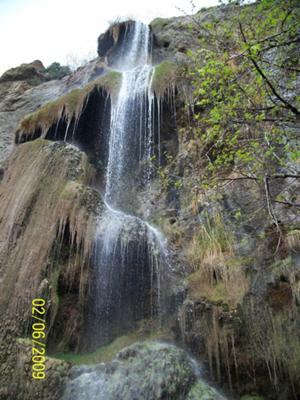 This hike is in Malibu and is on the website but the pictures don’t exactly show the REAL [Escondido Falls]. From the lower falls you start on a rough trail that requires some moderate climbing or scurrying up the path of steep rocks and dirt. It’s nothing to dangerous though, even borderline easy. Shortly you find yourself at the bottom of a beautiful 200 ft cliff with 3 tiers that the water drops off into a small pond. This is a VERY UNIQUE looking waterfall and is definitely worthy of the Southern California section of the website. In Malibu drive north on Pacific Coast Highway. Turn right onto Winding Way and park in the lot immediately to the left. You can’t park anywhere but there because it is a private street and parking is not allowed. You walk up the street .8 miles and find the trail on your left. Once you hit the creek at the very beginning, make a left and stay on the trail until you hit the lower falls. The path to the upper falls begins on the right side of the pond.